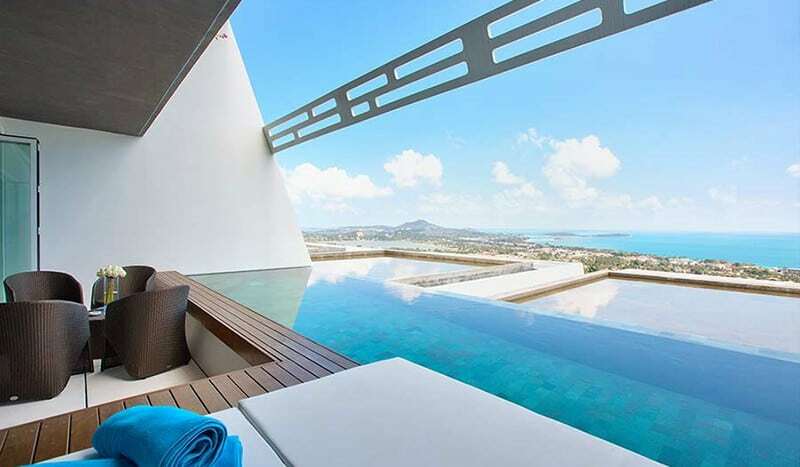 AquaSamui is a boutique property development featuring 11 private pool villas designed by award-winning architect Gary Fell. 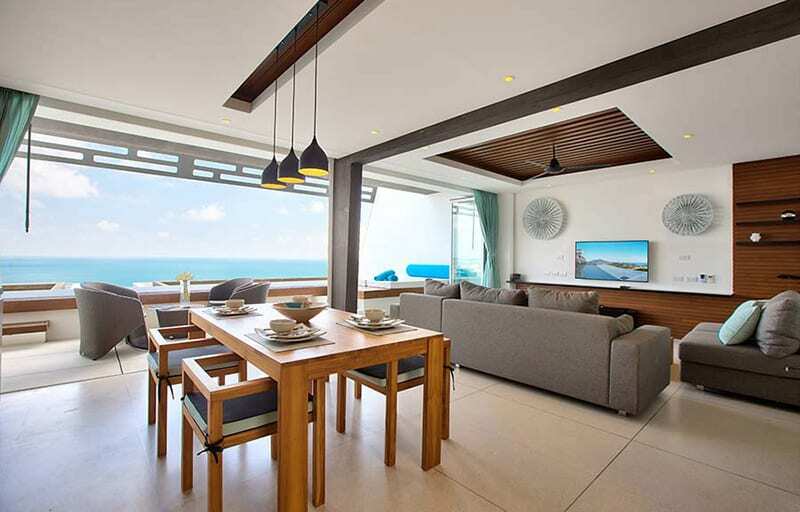 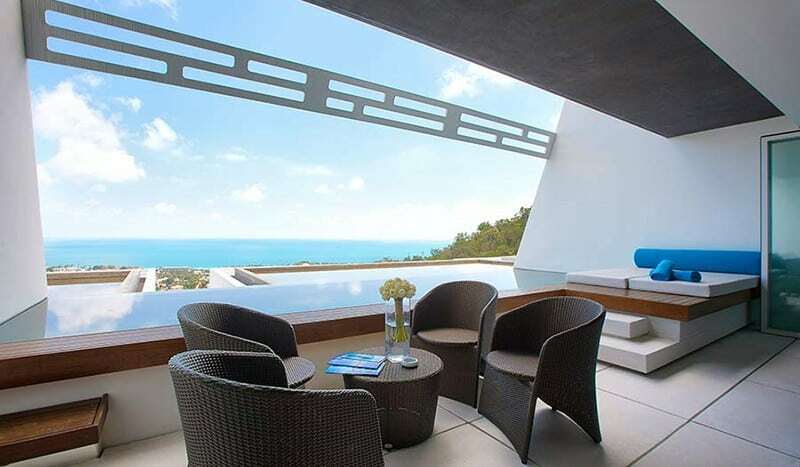 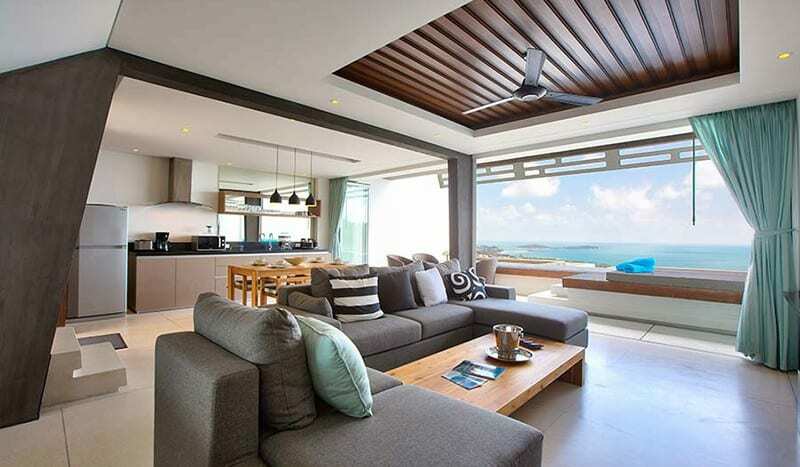 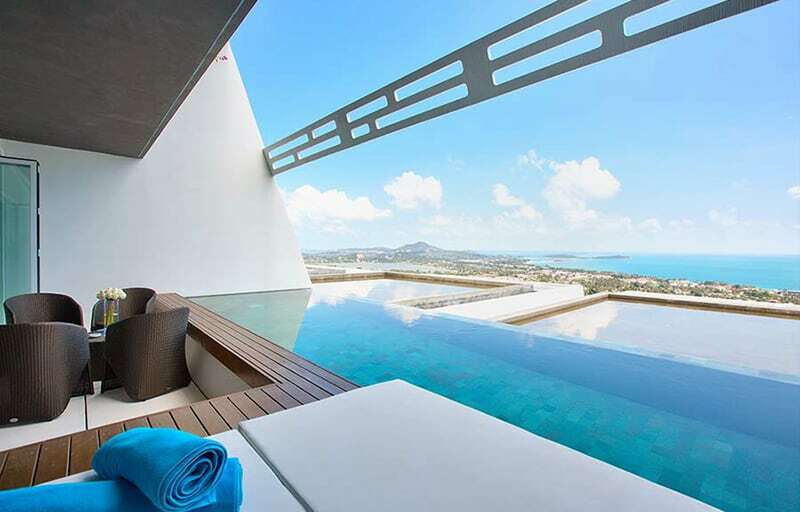 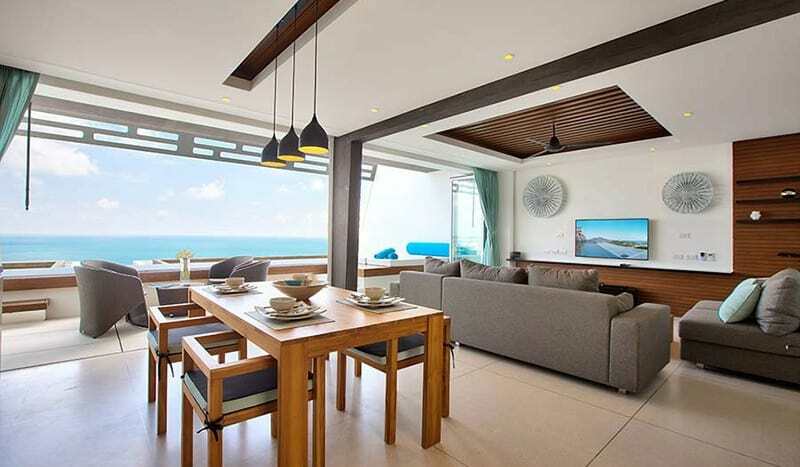 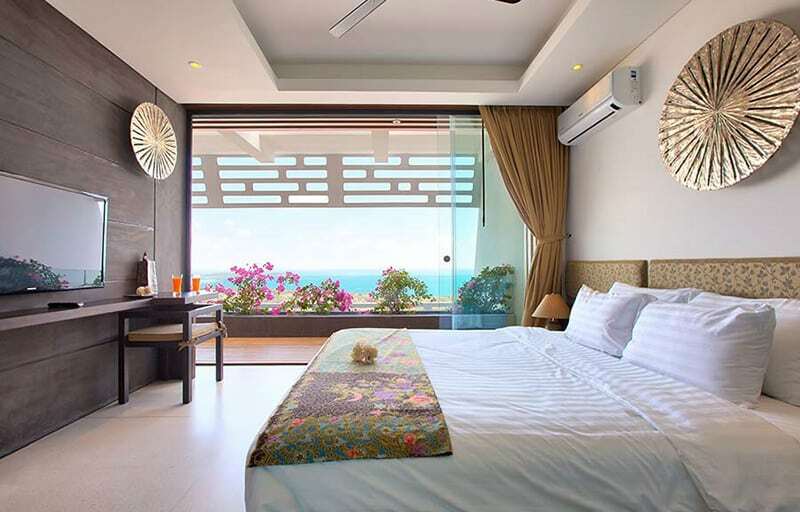 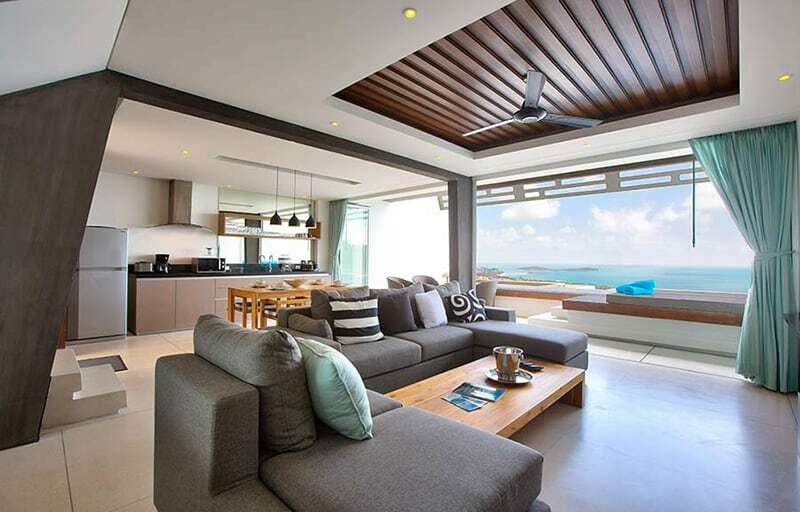 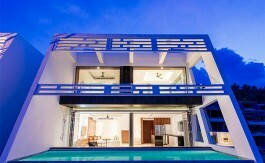 The property is highlighted by panoramic views over world famous Chaweng Beach and the Gulf of Siam. AquaSamui’s design nested in an ultra-contemporary living area which feel spacious in a large open-form layout. 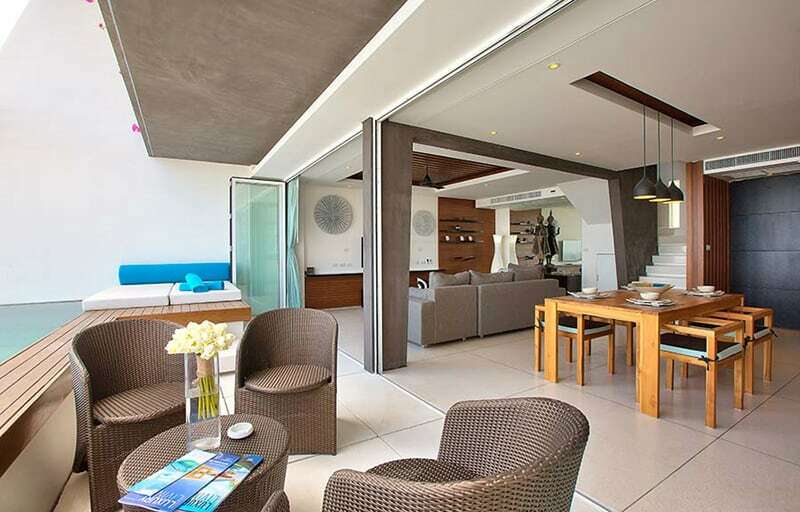 In addition to the residential accommodation, central facilities it comprises a lobby reception, a gym/health club, restaurant/bar and parking for guests. 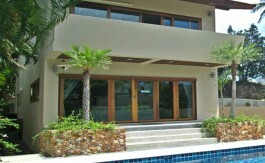 The main building components are stone and concrete. 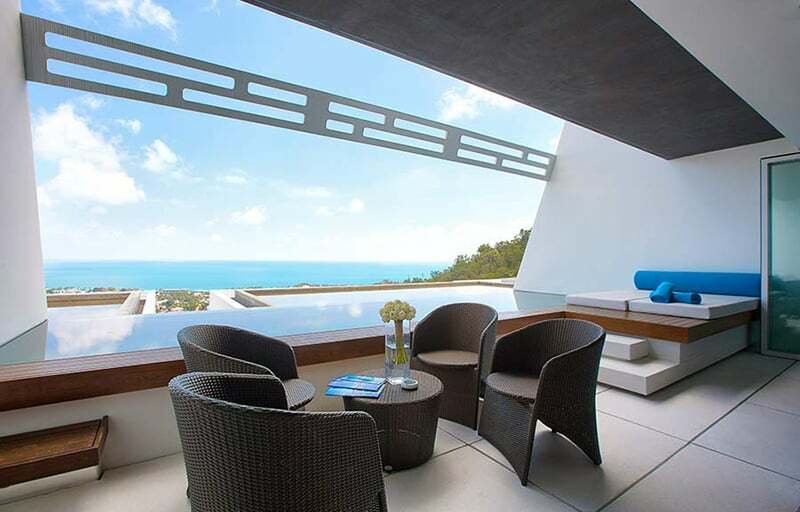 Rocks are quarried from the site itself and form the base of the structures. 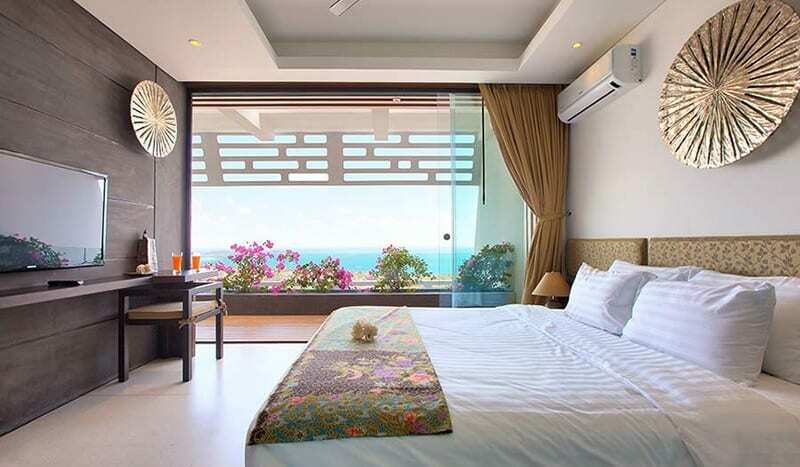 This unit type offers 180 sqm with one bedroom, fully equipped kitchen, air conditioning, car parking, maintenance, wi fi, panoramic sea view, private infinity swimming pool.